On June 30 the residents of New Taipei City witnessed scenes of chaos as street fights broke out between rival gangs in the districts of Luzhou, Sanchong, Zhonghe and Yonghe. The feuds, which involved members of two Taiwanese triads, the Bamboo Gang and the Heavenly Way Alliance, were triggered by a single sentence: "The girls of Luzhou and Sanchong are shameful." At around 2 a.m. a scuffle erupted between gang members at Tiantai Square, in Sanchong District. One man was stabbed in the back and hospitalized. Around two hours later, youngsters gathered on Ci'ai Road (慈愛街), throwing signal bombs and smashing cars. The police arrested 8 men and a woman, two of whom were minors, and seized ketamine pills. At 9 p.m., a call for a vendetta was sent online. One hour later 200 youngsters on scooters swarmed the streets of Sanchong and Luzhou, causing panic among residents. After arresting 25 members of the gang, the police discovered that the feuds had been caused by an incident which had happened a few days earlier. As Apple Daily reported, on June 29 a group of boys and girls from the districts of Zhonghe and Yonghe went to a billiard hall on Chongyang 1st Street, in Luzhou District. An argument broke out between them and a girl from Luzhou surnamed Chen. One of the girls of the Zhonghe-Yonghe gang shouted: "Girls from Sanchong and Luzhou are shameful!" Angered by the affront, Chen went to Li Weihong (李瑋鴻), a 21-year-old member of the Heavenly Way Alliance (天道盟), and asked him for help. Li demanded an apology from the Zhonghe-Yonghe group. Only after they had complied did he allow them to leave. After returning to Zhonghe, one of the girls who had been forced to apologise went to her boyfriend, a 16-year-old boy surnamed Zheng, crying as she told him what had happened. Zheng then turned to Liu Changlin (劉昶麟), a 23-year-old member of the notorious Bamboo Gang. 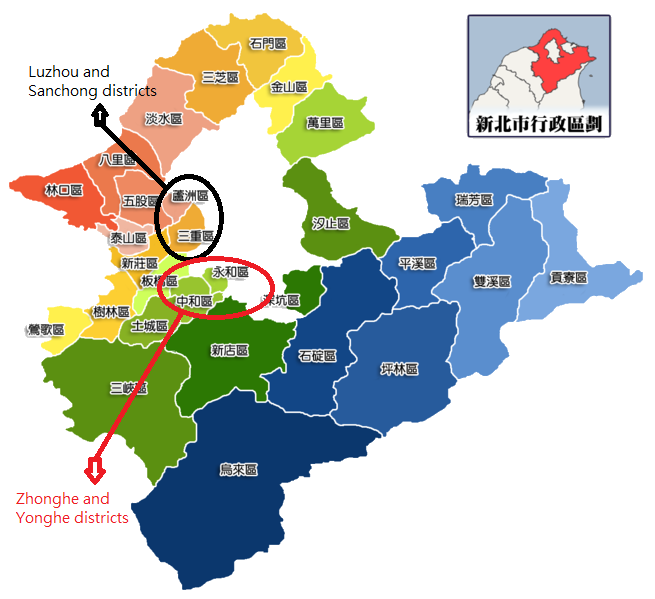 The two gangs held 'talks' in Sanchong to settle the dispute, but the negotiations led to a scuffle in which the Zhonghe-Yonghe gang were badly beaten. Soon afterwards, the Bamboo Gang decided to carry out a vendetta against the rival triad. On Sunday, June 28, they launched an attack in Sanchong, during which an innocent passer-by, mistaken for a gang member, was threatened with a knife. An onlooker reported the incident to the police, which immediately intervened. But the gang did not give up, and two days later they made another attempt. They assembled a large force at Tiantai Square in Sanchong, blocking the street. During the turmoil, a man was stabbed, triggering Luzhou-Sanchong gang's reprisal. In the ensuing mayhem, two cars were smashed. Unwisely, the tumult happened right in front of a police station, and 9 people were arrested. The terrified residents of Sanchong and Luzhou were told by the police that the street fights were just "isolated incidents". On July 6, Li Weihong ordered his men to retaliate. Wearing white gloves and with red ribbons tied to their scooters - symbols of the Heavenly Way Alliance - they set out for Lehua Night Market (樂華夜市) in Yonghe. Armed with clubs and knives, they beat up a restaurant waiter and threw signal bombs at a billiard hall. Eight people were arrested. The police still believed that the various incidents were not interconnected. 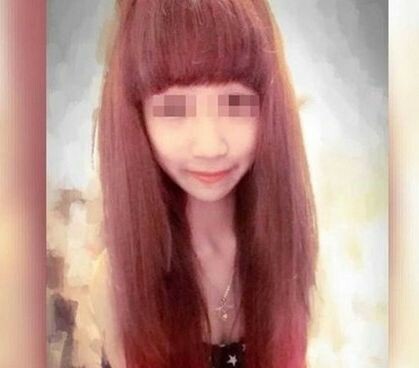 Surprisingly, it was Chen, the girl who had been insulted at the billiard hall on June 29, who provided the authorities and the public with the proof that the streets fights were the result of a feud between gangs. She published a post in which she claimed that the police were lying. She stated that the group from Zhonghe-Sanchong had insulted her and had refused to apologise, and that this had caused the gang war. The police, confronted with mounting pressure from the public, reacted by detaining 25 people, among them Li Weihong and Liu Changlin, on charges of 'organised crime'.